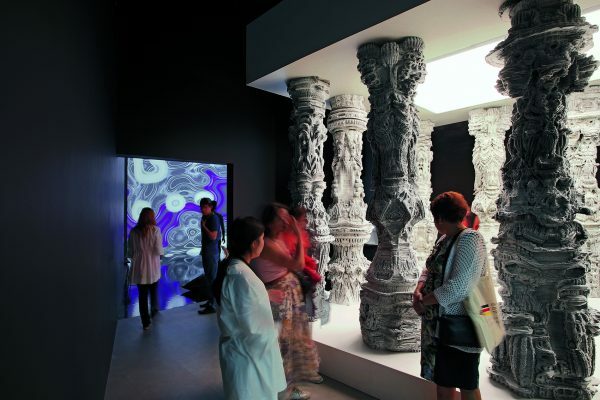 One of the most impressive pieces of architecture at the Astana Expo which opened to the public at the beginning of June, features four huge, highly complex columns, each 3 meters high. 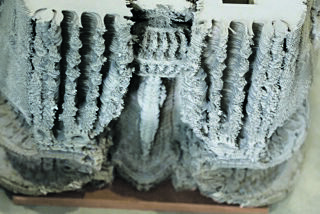 These multi-layered structures with endless spatial depth were designed by Michael Hansmeyer, the architect who explores the use of algorithms and computation to generate architectural form. 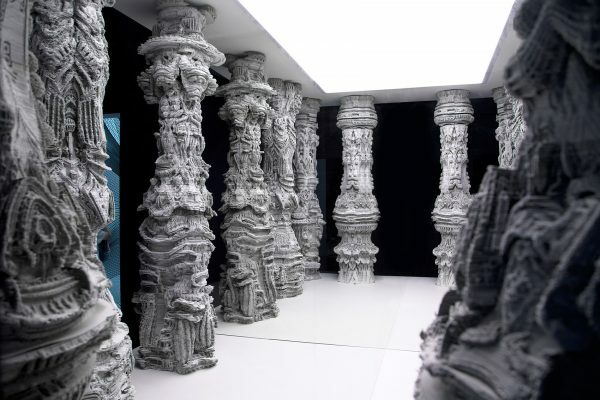 Michael Hansmeyer designs these amazing columns according to a unique algorithm but in the past, each piece, each layer took 4 – 6 minutes to cut. Since the development of the Highcon digital cutting and creasing technology, Hansmeyer can produce these works with all their intense complexity and in-depth detail, in hours instead of weeks. 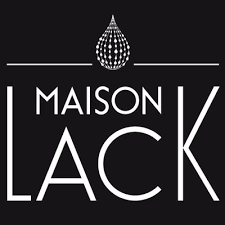 The production of the columns was carried out by Maison Lack by DLW, on their Highcon Euclid digital cutting and creasing machine. With 5,000 cardboard sheets used to produce each one, 20,000 for the set of four, these extraordinary columns appear in the ARTISTS & ROBOTS exhibit commissioned by the Réunion des Musées Nationaux-Grand Palais. 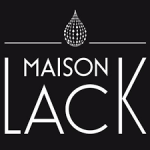 Virginie Dumesnil, Brand Manager at Maison Lack by DLW, spoke about the challenge of producing these monuments: “We love the opportunity to be involved in the creation of truly unique art. Thanks to the Highcon technology we were able to produce the columns within days, rather than months. The innovative Highcon Variable Data Cutting (VDC) option that allows us to digitally cut each and every sheet differently, opens up a world of design potential that would previously have been impossible to implement”.